I am quite good at not spending too much on my girls’ clothes, not only because of the cost but also because they grow out of things so fast! I end up with bags of clothes that I either hang on to “just in case” or put them in a clothing bin. So this website really appeals to my spending money conscience as well as my ecological principles! 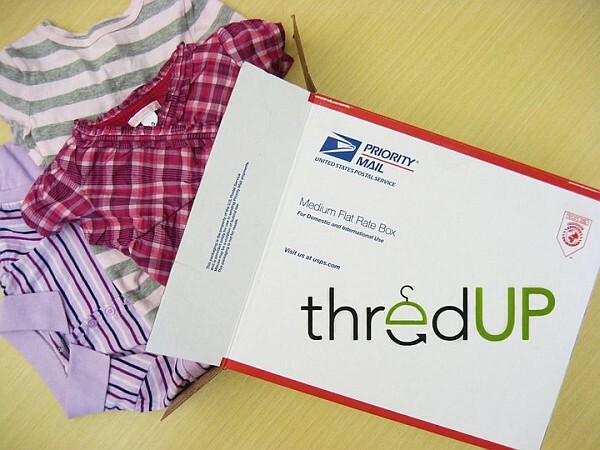 ThredUp is an American site set up for groups of friends or like-minded recyclers to swap good quality, gently used kids clothing. It’s kind of like a cross between Facebook, Ebay and going to a friend of a friend’s house for a clothes swap. Just such a great idea and really user-friendly. Basically, you browse through the site to choose a box of clothes you like (it’s all sorted by gender, age, size, etcetera), then pay US$13 for shipping. You then sort and list your own pack of good quality used garments and Thredup arrange for it to be picked up at not cost to you when someone selects your box. The video below tells you a bit more. I think this is a great option for recycling clothes that seems to be really taking off in the States. Thanks to Megan for telling us about this site and I agree with you – we just need someone in Australia to do the same. Anyone up for it?